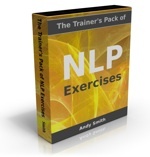 NLP Milton Model: Generalizations - not just for hypnosis! 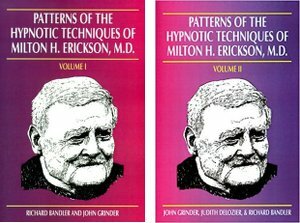 Another set of Milton Model patterns can be classed as ‘Generalisations’. These are statements about the world, or about relationships between things, which are spoken as if they are true. We can use the questions in the Meta Model to ‘challenge’ or at least investigate these statements it they are not helpful, but in the Milton Model we are doing something different: deliberately using generalisations to influence people and encourage ways of looking at the world that (hopefully) will help and support them. Every reader, or nearly every reader, will remember from the Practical NLP Podcast episode on generalisations that these are words like all, every, no-one, always, never, and so on. You should use these with care in business. Not everyone in business is a critical thinker, so they won’t always pick up on sweeping generalisations. I don’t even have to say “sometimes they might” because using universals with a negative already implies that some of the time, sweeping generalisations will get noticed. Finally, you can use universals in a presuppositional way: “Everything you’ve learned since you’ve been doing this job” doesn’t specify what exactly has been learned, but allows the listener to find the most relevant or important examples, because it presupposes that there definitely are some. This is especially useful where you are coaching someone or just want to talk to your colleagues or your team in a way that increases their confidence. These are words we use when we are implying rules or making statements about possibilities or impossibilities. They point to the existence of generalisations about what should or could be done. Like all human beliefs, they are not necessarily true, but they point the listener’s thinking in certain directions, useful ones if you employ them skilfully. There are two kinds of modal operators: modal operators of necessity, which are words like should, ought, must, have to, got to, plus the negative versions like shouldn’t and mustn’t. And when you use modal operators with any kind of action words, like “We’ve got to make this happen today” they add intensity and gee people up. The other kind – modal operators of possibility – can be used to suggest possibility, as in “We can do this” or “There could be a way round it.” This can help to boost morale or to open up new ways of thinking and new ways round a problem.